The Many Faces Of Chronic Illness. I apologise for my recent absence. Illness Army is incredibly popular, and I have only made time to go through each of your emails and publish your stories instead of my own. Ihave also had a lot going on in regards to my health, a few rough flareups and became lost in my dark thoughts, symptoms and busy agenda. Even though I have been absent on WordPress, I have not been so absent on Social Media. Photos begin circling of my face painted with a little bit of makeup, hair straightened, sitting in a public place and suddenly everyone remembers that I am still alive, and I am deemed as cured/better. Firstly, I am not cured. I don’t know how to respond to the “feeling better” statement. I don’t know why society assumes that someone that appears to look healthy, is healthy. If anything, I am adjusting better to my new norm. Secondly, yes I might be out – I can assure you it was for an hour, no more. Do you know how much strength and additional effort it takes a Chronically Ill sufferer to get up and leave the house for ‘events’? I don’t know about you, but I personally have to be dragged out kicking and screaming. Every inch of my body aches, I am trying to hold in my wanting to vomit and the last thing I want to do is be in public being stared at because ‘the normal looking girl is walking too slow’. I don’t know how to feel when I receive these personal messages. Do I take it as a compliment, with pride? Or do I take it as an insult? As people come to me after seeing a photo or a post, telling me that I look great, and then 101 question me as to why I am still not at work, why I am still in appointments, why I am still unable to drive and why I missed our lunch date. I am continuously spoken to like they think that at the snap of my fingers I can just turn on the Health Button. It is strongly ringing in my head as an insult. It’s always one extreme or the other. I am either deemed well enough to run a marathon, or I must sit in my house alone all day because the symptoms are making me miserable. There is never an inbetween. Are people naive enough to think that I’m going to happily post a photo of myself when I have acne all over my face, I’ve been vomiting my organs out and I am so pale that I could be mistaken for Casper the Ghost? Ah no, and I am certainly not going to post a Facebook status about how I contemplated killing myself four times this week, either. I, like you, choose to only publicise my achievements; the days that are slightly more bearable than others, and the photos that make me look half-decent. Why? Because I’m human. Forgive me if I, too, want one day where I look ‘normal’, ‘beautiful’, ‘unpained’. Well, maybe this is the problem? Maybe sufferers of Chronic Illness are feeling pressured to be something we are not; healthy. Maybe this is what needs to change; I/we need to make our statements raw, and our photos as honest and natural as they can be, in order for everyone to stop and take notice of the bigger picture. So, I have taken a ‘selfie’ every day for the past thirty days, to show you that appearances are not everything. I am not “pretty” every day and I don’t even care. But, mostly, I want you to see the fluctuation. I want you to see the face behind the “makeup days”. I want to share that there are MANY faces of Chronic Illness that aren’t often publicised. I don’t get to pick and choose what days I am ill and unable to leave my house. I don’t get to pick and choose which events I have to cancel, or when my flareups decide to make place or for how long they last. You cannot make a solid judgement from the photos; you can only make ASSUMPTIONS. Some symptom days are just HARSHER than others. The point is, I did not wake up CURED. I felt sick the entire time, but some on some of the days the symptoms were just easier to manage than the others. I have days where I walk down the street and you would not think that I was suffering with severe pain or nausea twenty-four hours a day… and then there are days where I look pale and pained; there are days when I run to the toilet, I can’t speak due to nausea and I’m curled up in a ball on the floor crying. I want you to know that it is OKAY to have days where you don’t wear makeup, don’t feel like going out to see a friend, your hair looks frizzy, your skin looks like a dot-to-dot puzzle. 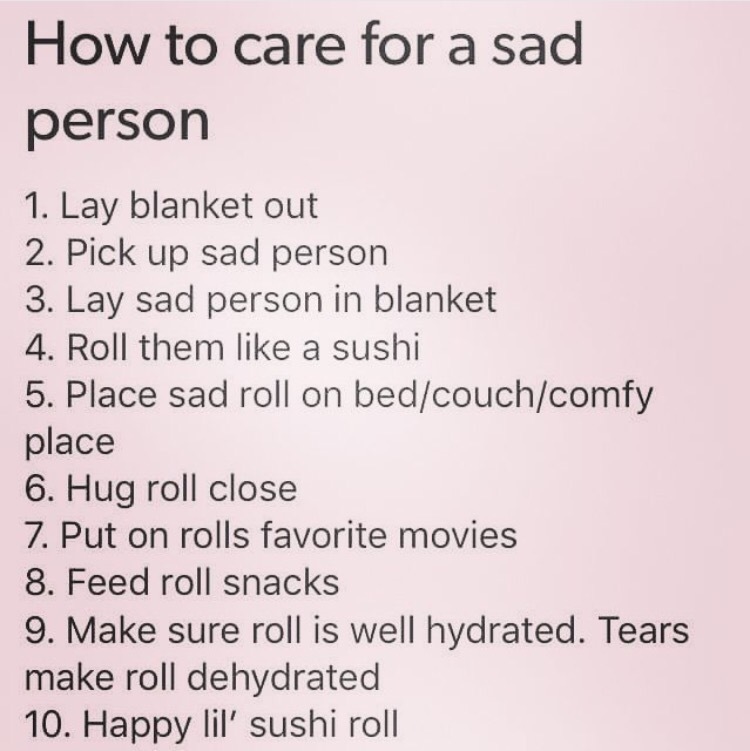 It’s also okay to get a day where you feel well enough to get dressed up and do things, and to still come home at the end of the night being sick. It’s OKAY. Take a look at my photos, and before you jump to drastic conclusions, assuming that I have magically overcome my illness overnight – let me tell you that I haven’t. But, you wouldn’t know it by looking at me. The Government called me today. I was, once again, rejected my claim for Disability. I think that this statement sums up what is wrong with every Government worldwide. HAVE A LONG, HARD THINK IF I AM SICK ENOUGH? Oh hey, I had a long hard think and I suddenly, (after almost two years of being ill), feel that I am well enough to return to fulltime work and study. I actually feel SO great that I can start tomorrow! I just needed to go through this year long process of applications and rejections, appointments, tests and letters for one of your employees to tell me to ‘think about my illness’ a little more than I have been doing over this past TWO YEAR PERIOD and realise that I am actually well enough to return to the life I apparently willingly gave up. Here’s a thought – employ people who have the ability to show empathy towards those who have not CHOSEN this path for themselves – were GIVEN it. You have my file, which I picture to resemble the length of the pages in the entire Harry Potter Novel Series. You have every letter from every Specialist, and you know exactly how many times I have called because you have cut my payments or questioned my health. This entire journey is incredibly stressful – especially the part where you have to deal with the Government. The process should be simple, but it isn’t. I understand that they are trying to prevent frauds from corrupting their system and receiving payments, and I also understand that they are pushing for thousands of people to return to ‘some type of work’ to accompany their therapy and improve their mental wellbeing. I understand, but what I DO NOT understand is their disregard for the thousands of people who are GENUINELY ill and GENUINELY unable to work temporarily and permanently. Sufferers are vulnerable as it is, yet we are left on our hands and knees trying to prove to your employees that we are ‘sick enough’, and we are ridiculed and not taken seriously. Why would I willingly choose to live like this every day? To feel constant pain, and to spend 85% of my time in and out of appointments? Why would I spend my last dollar on medication and therapy, when it could easily be spent on luxurious items for myself? Tell me why I would give up my dream job for this new life? Oh, maybe because I have a VERY REAL, CHRONIC condition? and I decided that I will most definitely be reporting you for causing me additional stress. Let Me Publish Your Story. Help me, help you, and ultimately help others! Due to an influx of new bloggers writing about their Chronic Illnesses, loneliness and the lack of guidance and support along their journey, I have created a new segment called ILLNESS ARMY. Under this tab, I would like there to be numerous Chronic Illness categories with YOUR stories. I want to connect you with the right people. I want you to make friends and support each other. I want your voices to be heard, so we can make it known that Chronic Illness of any kind is not pleasant. I feel as though I can only support as my much as my knowledge and experience allows me to… so, I am requesting YOUR assistance. I am in search of honest writing. As you are writing, you must think about the person reading your post. If they are newly diagnosed with what you have, how would you prepare them? How can you support others? Posts can be copied and pasted into an email, or sent as a word document. You can also email me a link to a pre-written post on your site if it meets the criteria. Once emailed, changes to posts CANNOT be made. Your post MUST fall into ONE major category. I understand that many of you will fit into MULTIPLE categories, but please choose ONE that best suits your submitted post, or one will be chosen for you. I have chosen to select this way as I want sufferers to be linked to the appropriate people for support. If there is a sufferer of Gastroparesis searching for guidance, they will most likely not find it by being in the POTS section). Please do not interpret this as a sign off from me. I will still continue to write my own posts about my journey and experiences, directed at a collective audience. As I am doing this project solo, I will aim to post two of your stories per week (if my health holds up). If your post meets the criteria, and is chosen to be published, you will receive an email notification. If you aren’t following me already, then please start today! Let’s start sharing this post so we can begin uniting sufferers! I am really looking forward to reading your stories. I think this is a step in the right direction for spreading awareness about our community. One major positive of being sick, unemployed and housebound for over a year now, is being given the time to learn how to cook. And, let me be the first to tell you how thankful I am. I come from a big Italian family; a Mother who cooks incredible dishes spanned over all cultures, a Dad who can magically create something tasty using the fewest ingredients, a sister who studied to become a Chef and a Nonna who has been cooking for the entire extended family for many, many years. 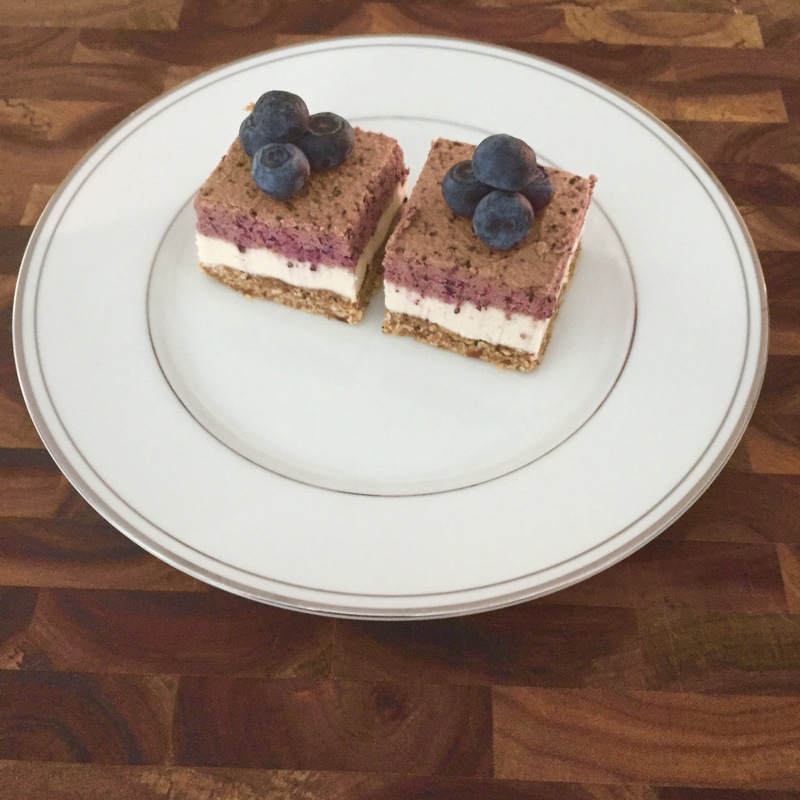 I, did not inherit the ‘talented with food’ gene, but when I fell ill I did not want to rely on my Mother cooking two different meals for our family after a long day’s work – (my diet was very different in the initial illness days. Bland, mashed vegetables and ‘gluten free’). I remember sitting at the dinner table, overlooking my Mother in the kitchen one day. I was too dizzy to stand, to walk. I asked her what she was making, and she laughed in my face because I had never shown an interest before. I rose from my chair and dragged it closer to her; and this is where the lessons began. A year on, I have mastered her famous Lasagne, Chicken Snitzel and Potato Salad. We have made treats that I could eat, and then we made treats (a lot of them) that I could only look at. 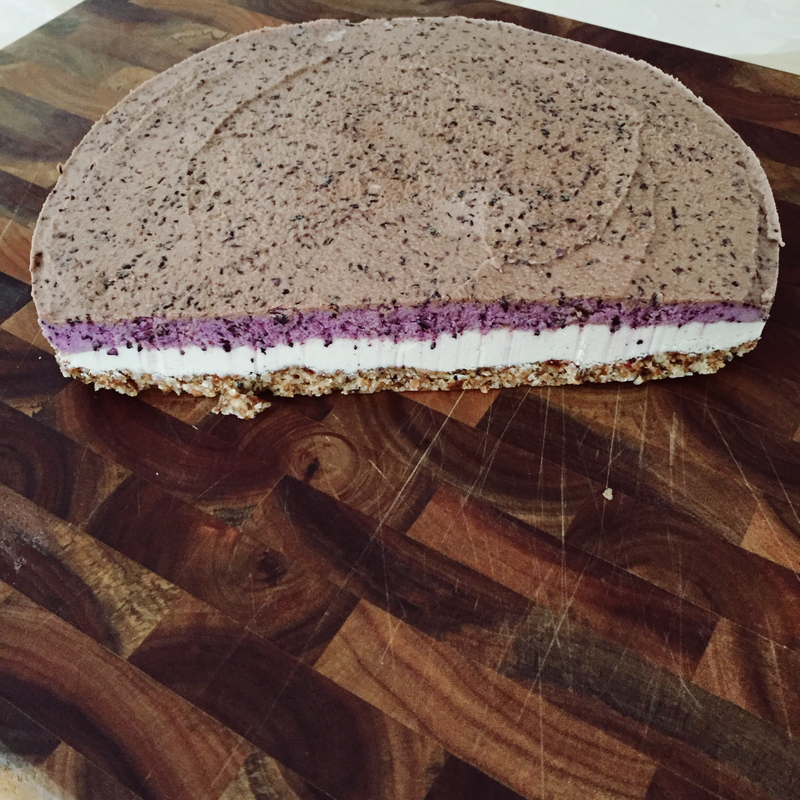 a Raw Vegan Blueberry Cheesecake! Lucky for me, it can be frozen for up to twelve months; and as I am currently incredibly ill with a throat and chest infection (on top of the usual symptoms), this means I can still enjoy it… And all year round! Little steps, my friends. Little steps. I have books filled with recipes and cutouts of recipes all over my room; all waiting to be made. If you aren’t a great cook yourself, and are in similar health circumstances to myself, give it a go! No needs to buy a Beginner’s Cookbook when you have the internet at your fingertips! If someone told me two years ago that I made that cake, I’d probably laugh in their face. In this moment, I’m really proud of myself. So, you’re Chronically Ill. Now, what? If you are a newly diagnosed sufferer and/or blogger, you are in luck; you have come to the right place. I want to extend a helping hand to you; think of me as a shadow. Why would a stranger actually want to listen to you? Because this stranger knows exactly how you feel, and she wishes that she had someone to talk to when she first began her journey through illness. Let me guess – you feel a range of emotions all at once? You are afraid, confused, and incredibly frail. You’ve been suffering for long enough, yet you still don’t have a total grasp on each symptom, and when you think that you do, you are struck down with multiple new symptoms. You’ve seen a number of Doctors and Specialists and had every test under the sun. Maybe you are diagnosed, maybe undiagnosed. Take a deep breath in, and release. Do this as many times as you can before you read on, as what I am about to share with you might be hard to sink in. I want this to provide you with reassurance; that you are not alone, but I would also like to share my wisdom with you from my own journey. When I first fell ill, I had nobody to turn to. I suffered for months in silence, as nobody entirely understood what was happening to my body, or believed me. I look back and wish that I had someone who said, I believe you. I wish I had someone to talk to about all of this medical stuff and the big life change. When I say that you have come to the right place, I really mean it. As you sit behind your screen, you are actually surrounded by many other sufferers sitting behind their screen, experiencing the same things; we all want to be heard, helped and listened to. You will make lifelong friends on here, and they will be incredibly significant in your journey. First thing is first; you are sick. It’s a bit of a shell-shock, isn’t it? You will hear the term “Chronic Illness” floating around. This means that your condition has gone over the three month mark, and doesn’t have a date of finish. You might also hear the term “invisible illness”. This means the illnesses that cannot be “seen” or cannot be “diagnosed”. For example, you can very much see the flu and its symptoms. You cannot see vertigo or pain. Secondly, you will need a folder. If you don’t have enough money to purchase one, do not stress. Just keep everything “together”, nice and neatly. You will hear me rant about this wondrous folder through-out my blogs, amongst other things. You most likely won’t have to print anything; your Doctors will be doing the hard work for you. Now, you need to ask your Doctors for every test you have – results that were positive AND negative. Bloodtests (the general ones) are the most important, as some Doctors tend to miss the smallest things in this lot of testing. If you have copies of everything, and they are recent, it saves you from being poked and prodded in the future by new Doctors. Doctors MUST give you copies of your file, if you ask for them, so please do not sit there and take No for an answer! In this folder, try and keep note of all of your symptoms, medication trials and food intakes (if you have digestive or stomach issues). Eventually, you will come across a Specialist who needs this information. You are better off having a few weeks of data instead of nothing. I am making an assumption that most people have an Iphone or touchscreen phone with downloadable apps? Learn to navigate your way through Calendars, Reminders and Notes. As seen in the image, my phone holds all of my important reminders. I plan in advance, so I am well prepared for each visit. Please remember to back up your phone, in case the unthinkable happens. If you do not have a phone, then invest in an oldschool diary. No need for backing up, there! I suggest that you find the time to make a call to the office of your Government and see if you are eligible for a sickness allowance or illness benefit. Some of us are able to work, others cannot. The benefits vary worldwide, but every cent helps and there is no harm in asking. If you are not eligible, then do not feel ashamed to ask your Doctors if they are able to ‘bulk bill’ or provide a rate of concession to your fees. Some tests cannot be Bulk Billed, but like I said earlier, there is NO harm in asking! I suggest that you book yourself in to see a Psychologist. A Doctor can provide you with a list, or you can do some research of your own. I can see you rolling your eyes at me; the good ol’ “I don’t need to see one of them” faces. You are experiencing, or about to experience, something traumatic. You should not go through it alone. You might have a great support group within your friends and family, or maybe you are without. Regardless, I believe it to be a crucial part in your journey. You might feel “on top of everything”, as I did for months, but there will come a day when everything becomes overwhelming. You will evidently feel saddened, anxious. Life will become much harder, so help yourself through it. I did not see a Psychologist until ten months into my illness – after I had endured countless hospital visits and appointments, testing, ridicule from Specialists, loss of friendships, and changes to my body. I was emotionally, mentally and physically burnt. I regret not seeing one sooner. Think of them as your Open Diary. Tell them everything you are feeling; good, or bad. When they ask you how you feel, be honest. You can see them as often as you like. I see mine once a month. If you do not feel comfortable around the one you find, see new ones until you DO find that one who you click with. I promise it makes the experience a little less lonely, and you will thank yourself for it in the future. Be prepared to try everything. If you want, one day, to be healthy again, you will take the medication prescribed and you will try alternative therapies, but of course there are limits. Do not push your body to do things it is unable to do. Take new medications and supplements ONE at a time so you know which one you don’t react well to, and please, do not end up in the backyard of a sister’s, cousin’s, uncle’s, best friend who claims to be a Qualified Practitioner. Choose your Doctors and Specialists wisely, but be open-minded. Sometimes what helps us, are the things that we least expect. You are going to have to grow thicker skin and become your own best friend; as blunt as it sounds, you might not feel the support you used to feel prior to being sick. You will learn to read test results like a novel, and you will learn to trust your instinct. You will receive a lot of backlash and uncertainty from those around you; this unfortunately includes Doctors, Specialists, friends and family. Don’t let this make you lose faith in humanity. You can sit in front of a Doctor and explain how sick you are, even though your tests are coming back as negative, and they will not flinch. Their first response will be “but, you don’t look sick”, or “the tests do not show anything, therefore there is nothing I can do”. You must keep pushing for answers. You must find the right Doctor, even if that means seeing twenty before one listens to you. Do not let any of them belittle you or shut you down. Remember that it is a Doctor’s JOB to help SICK people, and you my dear, are sick. You deserve as much time as the girl who just walked in with the flu, because at the end of the day, we all want the same thing; to be healthy. I want you to keep telling yourself that nobody will truly understand how you feel unless they experience it themselves. Try and not take things that are said, to heart. I know it is hard. I have turned away in tears multiple times, but I told myself that it was because nobody really understood what I was experiencing. I cannot hold anger inside of me for those who pass judgement on me. I don’t have enough spoons to put towards holding anger for someone (hehe). I learnt quickly to change my perspective of things, and people’s actions. If they want to be educated in your illness, they will ask questions. If they don’t care, their response will be the opposite. All you can do is take care of, and stand up for, YOURSELF. Connect with others in your community or online through your blog. There are thousands of sufferers who are probably your age, living in your city, and have chosen to write a blog for the same reasons that you have. Most of us are unemployed, stuck at home, and feeling the storm of loneliness. Please take a moment to read The Spoon Theory, as you will see those words pop up all around the Blogging World, mine included. You are now apart of that theory, and have your own spoons to carry and allocate to your days. I also have numerous past blogs from my journey earlier on that you might want to navigate your way through from my main page. I just wanted to wish you the very best of luck on your journey, and remind you that you ARE strong and you ARE brave. Chronic Illness is the most terrifying, excruciating, distressing, confusing whirlwind I have ever experienced. It is okay to feel everything you are in this very moment. It can also be lonely, but it doesn’t have to be. I promise that it will make you appreciate and love much greater than you did before. I am an email away if you need someone to talk to, vent to, or if you want to ask ANY questions. To my usual loyal followers, if you can suggest anything you’d like me to add to this post to be of assistance to further sufferers, please comment below! I have no doubt that there are many things you wish someone told you when you first began your journey. acupuncture: cried from Dry Needling pain in already pained neck muscles. and not being eligible for a Disability Pension. used up all of the tissues. home: crying whilst trying to fight through brain fog and write a WordPress post. And it’s okay because it’s just one of those days.